- Maung Zarni is Coordinator for Strategic Affairs with the Free Rohingya Coalition (www.freerohingyacoalition.org). - Natalie Brinham is an Economic and Social Research Council PhD scholar at the Queen Mary University of London and co-author of “The Slow Burning Genocide of Myanmar’s Rohingya” (Pacific Rim Law and Policy Journal, Spring 2014). 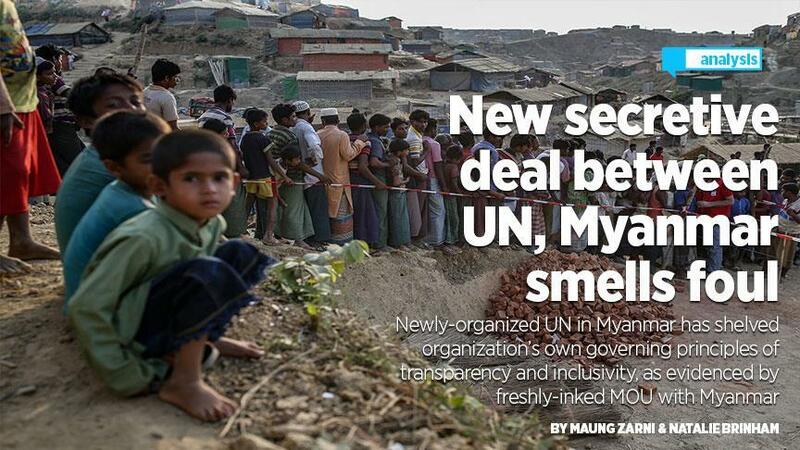 CAMBRIDGE, UK -- One million Rohingya survivors of the Myanmar genocide, who took refuge across the borders in the neighboring Bangladesh, remain largely unpersuaded by the news of the latest repatriation deal the United Nations agencies have signed with their perpetrators in Naypyidaw, and openly call for “UN Security Forces” to guarantee safe return to their homelands in the Western Myanmar state of Rakhine.